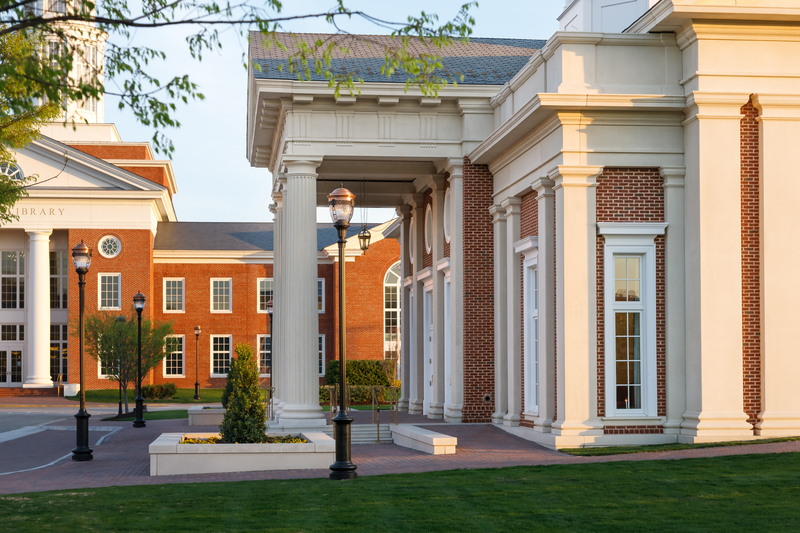 Glavé & Holmes Architecture is pleased to announce that our work with Royal Stone, LLC on Christopher Newport University’s Pope Chapel won two awards; Architectural Precast Association Award for Excellence and Cast Stone Institute Commercial Excellence Award. 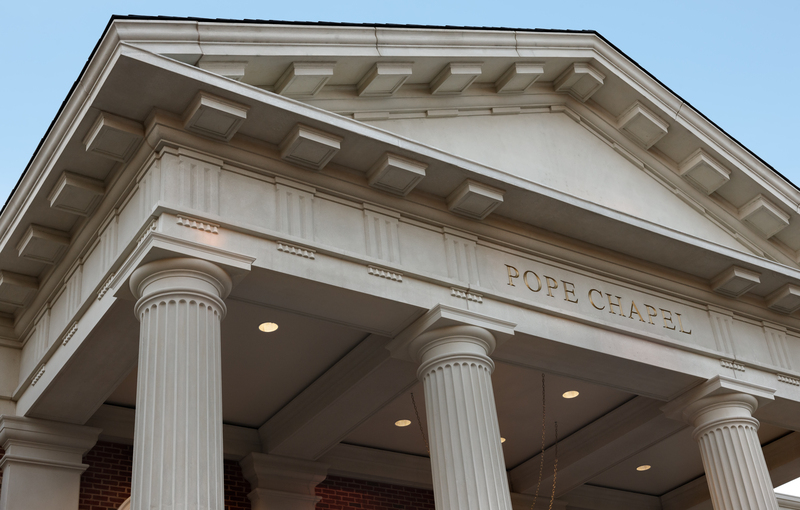 Pope Chapel, located on Christopher Newport University’s campus, was designed to be a place of celebration and ceremony for students of all faiths. 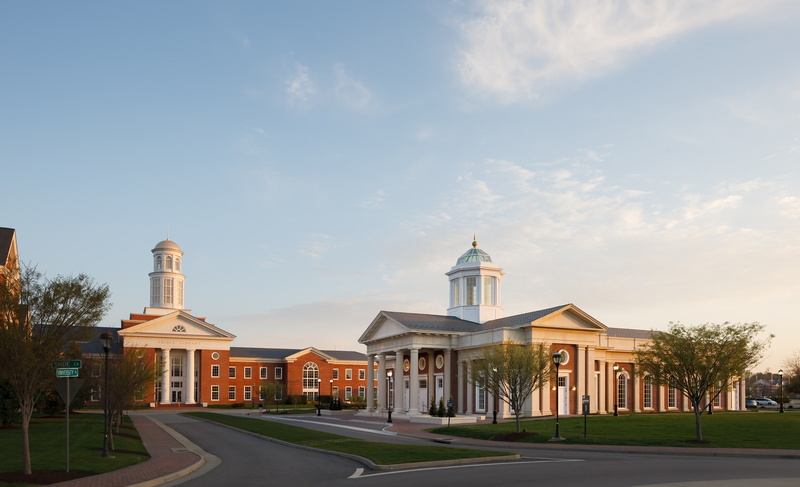 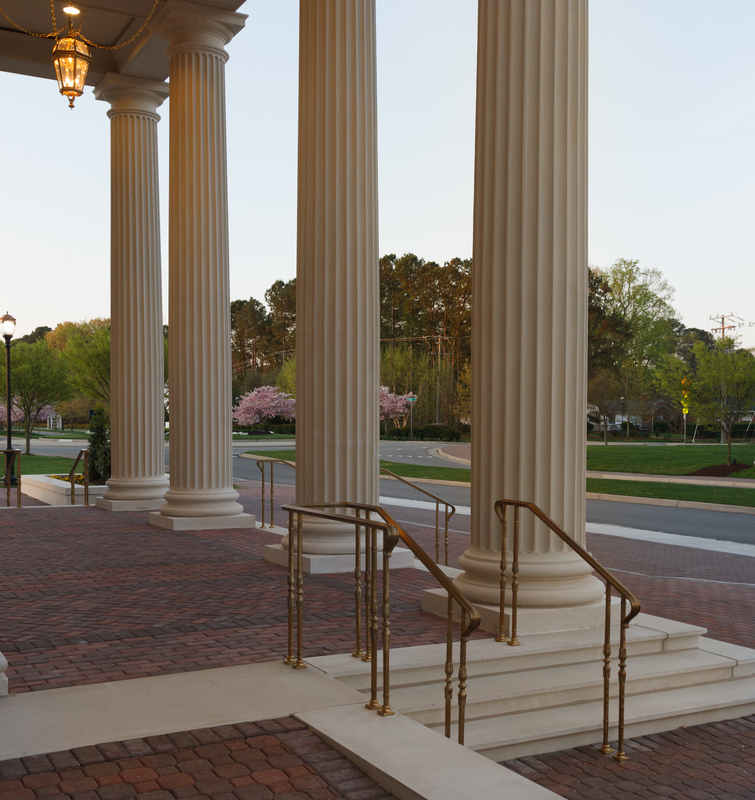 The campus has been in a process of transformation over the past decade, constructing multiple new buildings in an American neo-classical style. 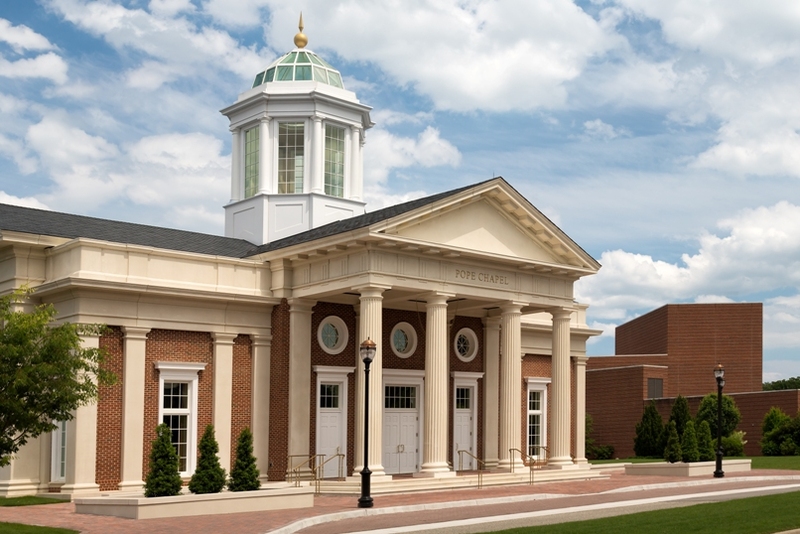 The Chapel is situated next to Trible Library and is part of the buildings that comprise the main entrance into the campus center. 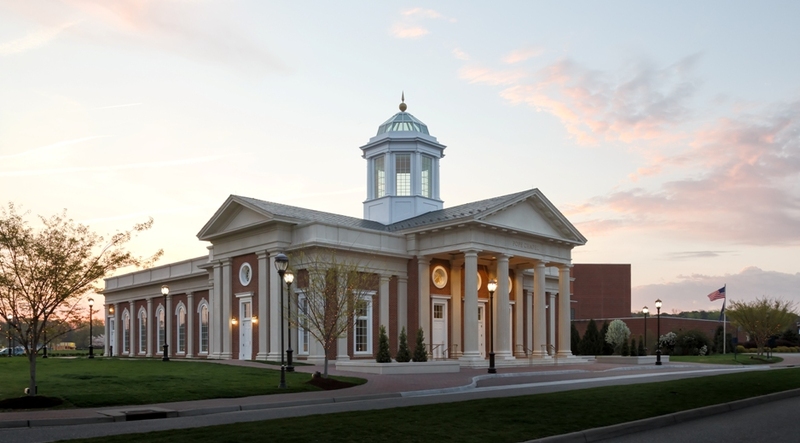 As such, the Chapel is designed to contextually reflect the campus character and to be a gateway structure for the University.